We often hear our customers ask, 'how much can I afford?' And, indeed, this is a critical question, whether buyers are taking their first step on to the housing ladder, or trying to climb further up it. But, with property being amongst the most expensive purchase buyers are likely to ever make, it’s important to understand that securing the biggest mortgage possible isn’t always a wise decision especially if funds will be overstretched. First-time buyers will need a deposit to put down and a mortgage, and they will have to factor in such things as stamp duty, legal and moving fees. For existing home owners, things are slightly more involved. First off, they will need to consider the existing equity in their current property, any savings to add to this and the mortgage they can borrow on top of it all. Often, a home owner can take their existing mortgage with them, but this will still need to be reassessed on their prospective new property. In many cases, home movers end up taking on a new mortgage, especially as they may need to borrow more to fund the move. Another way to move up the property ladder affordably is to use the Government-backed Help to Buy† scheme. Perfect for first-time buyers and those looking to move further up the property ladder. It is open to all house-hunters and works with just a five-per-cent deposit, which is funded by the purchaser. The government then provides a 20-per-cent equity loan, which is interest free for the first five years, enabling buyers to gain a 75-per-cent mortgage. Recently introduced to the website, Jelson’s brand-new mortgage calculator will quickly help movers answer the 'how much can I afford?' question. Jackie Woodward, sales manager for Jelson Homes, comments: “By simply tapping in the value of their ideal property, buyers will instantly see the deposit required, the loan amount and the mortgage value required.  To calculate the affordability of your next new Jelson home, click here. 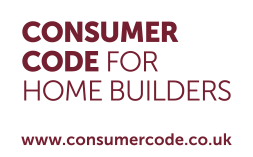 †Help to Buy is available on all homes, with a purchase price up to £600,000, subject to status and affordability criteria, terms and conditions apply. The Help to Buy scheme is subject to availability and may be withdrawn at any time without notice. Not to be used in conjunction with any other offer.